This morning was like sweet poison. You see, last night I went to bed around 11 30 or something. So, when my alarm starting screaming its lungs off at 5 45 AM, I wanted to rip its head off. But most times when you try to rip away the head of your alarm, its your phone that's in trouble -_- So I woke up anyway. And to cheer myself up, I opened the window and boy, it was raining! :) It has been so long it rained in Bangalore (A gap of two weeks makes it seem long. Eh, my city is awesome like that) and this made me squeal in joy. I got through the torturous process of a shower and dressing up and stepped out with my favorite suede ballerinas on and then, the hard realization hit me. They would definitely get ruined in the rain. 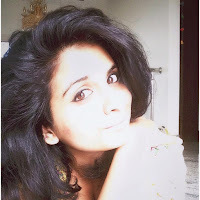 While I scanned through my shoe collection for a rain-appropriate pair, I realised, well, I have none at the given moment -_- I swore to order one from an online portal, and thus, this long pending post is here. 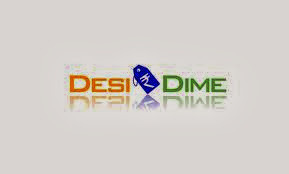 Okay so desidime.com is a website that provides coupons to various online shopping portals like Myntra.com, Jabong.com etc. Its always a pleasure to shop when we have coupon codes now, isn't it? That's exactly why this website is awesome. It provides various coupons based on Top Deals, Popular Deals, Daily Deals, Forums and gift shops. You can also find coupons segregated exclusively - Myntra.com coupons,infibeam.com coupons, dominos ones, futurebazaar, inkfruit, paytm, zivame.com and more. The website has various other website coupons and deals too. You can check all the deals and select what suits you best, or, just search, baby. In the gift shop section you can just use any of the listed websites to redeem. What more? You can browse city wise deals, check the partnership and well, become an affiliate yourself. PS: This is a sponsored post. You know me.